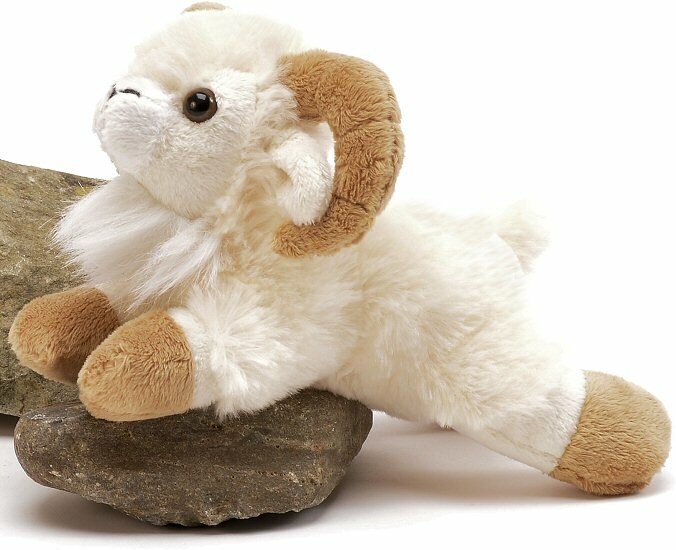 This adorable little ram stuffed animal will come down from the mountain just to be with you. With soft cream fur and an amazingly sweet face with white nose and warm brown eyes, you will love this plush ram from the moment you pick him up or simply stare into his eyes. This stuffed ram from our Handfuls collection is soft and cuddly with tan hooves and gently curved tan horns and is just the perfect size for take along adventures.